The bottom line is that the quality of your guide can really help to make or break your trip. 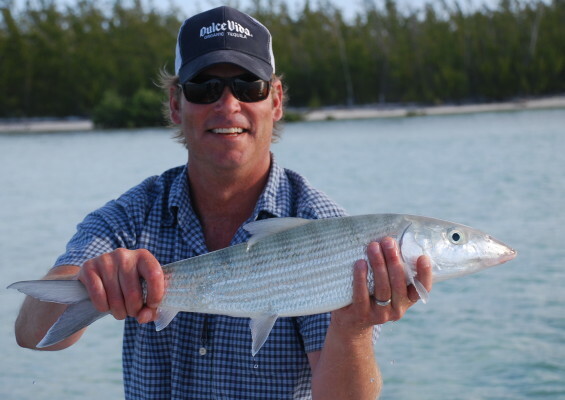 Another truth is that there is no one "best" guide.....one angler's perfect guide may not be the same as another's....that is one reason there are many of us. All of these guides have gotten great reviews from many of my clients and I trust them to represent me, work hard, be fun, teach you and show you as many fish as they can and contribute to you having great time on Montana's rivers. These are the guys I want to fish with on my day off! The truth is, as long as I’ve been doing this I still love to guide and fish and want to get as much time on the water as I can. 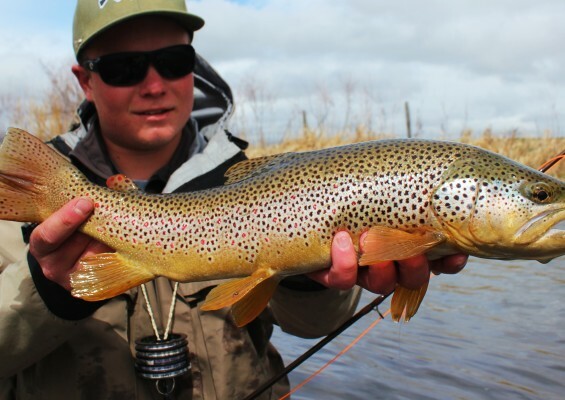 I fish a lot of different places during the course of the year, partly chasing the best fishing, partly because Montana has so much to offer it would be a shame to not get out and enjoy it. I was born and raised in Montana and still haven’t seen all the great trout water. One of my great thrills is fishing somewhere or someway new. No matter who you are there is much left to learn in the world of flyfishing (remember the great butterfly hatch!) I spent 10 years in Bozeman getting to know the Yellowstone and Madison as well as river’s further east, north, west and south. I now call the Missoula area home. How’s it going eh? Craig is our Canadian contribution. His enthusiasm for flyfishing and trout streams is genuinely contagious and springs from a lifetime of outdoor pursuits. He is one of the friendlies and funniest guys you will ever have the pleasure of fishing with. His humor is balanced by his deep appreciation of the rivers and fish…..with him, you’ll not only catch fish, you’ll learn to savor the results of your efforts. Usually he skis every day that he can in the winter, but the last several years he has headed off to Chile…to guide and pursue trout year round. 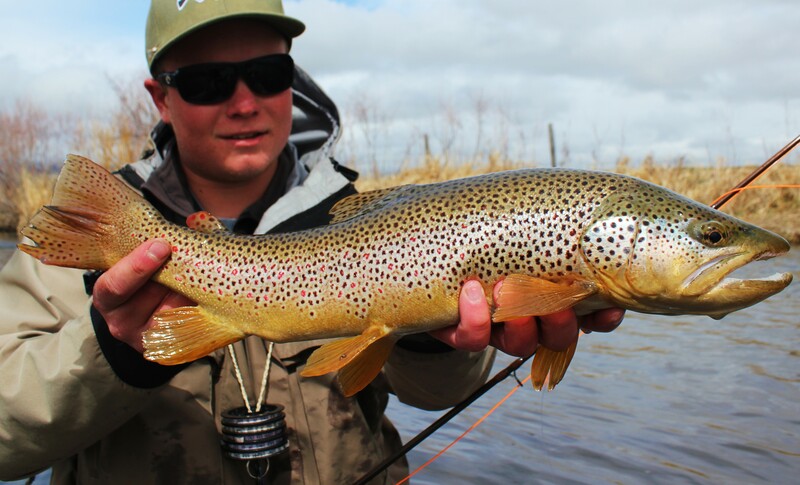 Zach is one of the newer and younger guides in my crew, and he is a fantastic addition. His enthusiasm for fishing runs incredibly high….so high I suspect it is fueled by Redbull. There may not be any “old guys” out there going fishing at dawn for a bit, before their work day, Zach does. He also has a fine collection of night-time brown trout photos another testament to not only his skill on the oars but his passion for fishing. Zach pours this same enthusiasm and energy into the guide day as well. He always has a smile and when you are with him you know he has found his place in the world. Zach moved from Tulsa, Oklahoma where he grew up catching bass, catfish, and carp on a fly rod during the spring and summer and spent the fall and winter hunting doves, ducks, and quail. In 2004, a family fishing trip to the Madison “sealed his fate”. Oh yeah, and he is easier to give a hard time than any other guide you will meet so you should get out with him before he gets all grizzled and crusty. 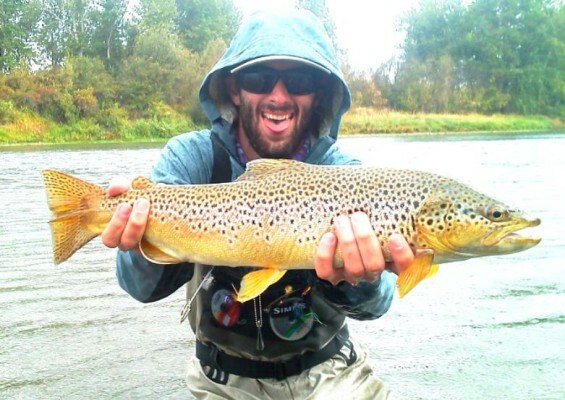 Adam (shown here holding a big brown for a happy fisherman) is a Missoula, MT native who began fly fishing the local waters at age five. 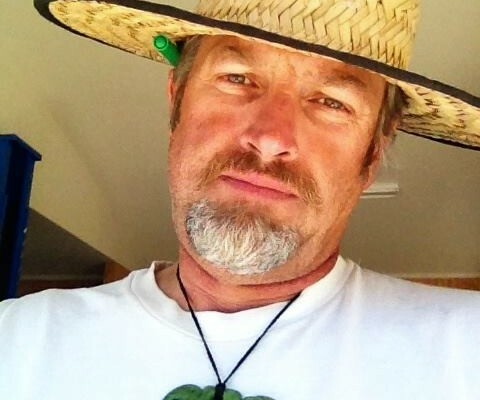 His passion for the outdoors has driven him to fish, hike, ski and whitewater raft all over the world and the western U.S. His positive, patient style and intimate knowledge of Montana’s rivers and hatches are sure to make your time on the water an enjoyable experience. 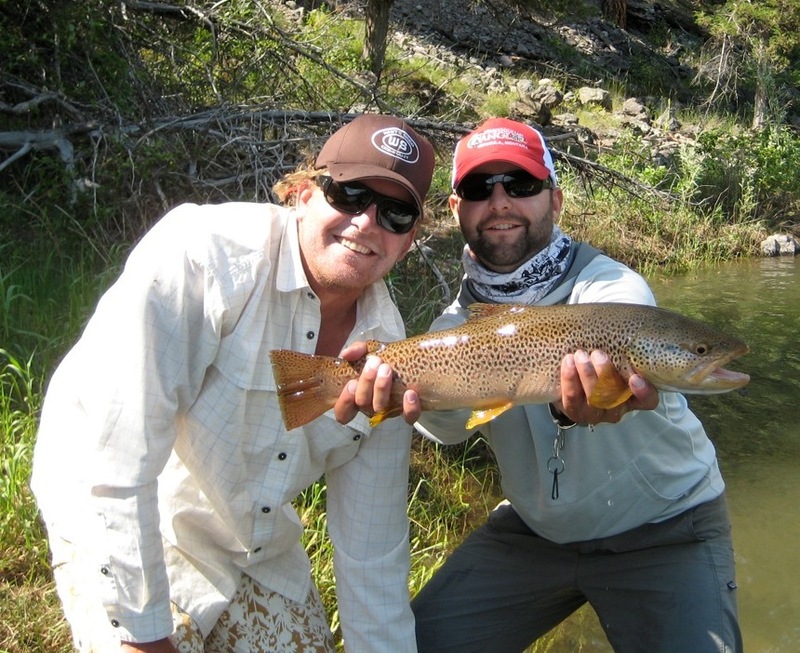 Dan has been working in the fly fishing industry in Western Montana for nearly a decade now. Originally from Kansas, Dan moved to Missoula to attend the U of M and upon graduating, decided to stick around. 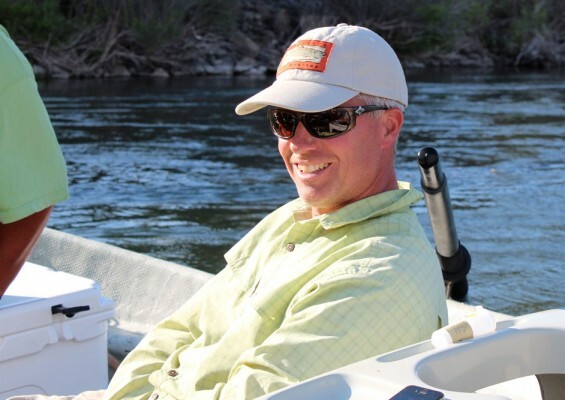 In a busy season he guides over a hundred days a year on the Missoula area rivers. 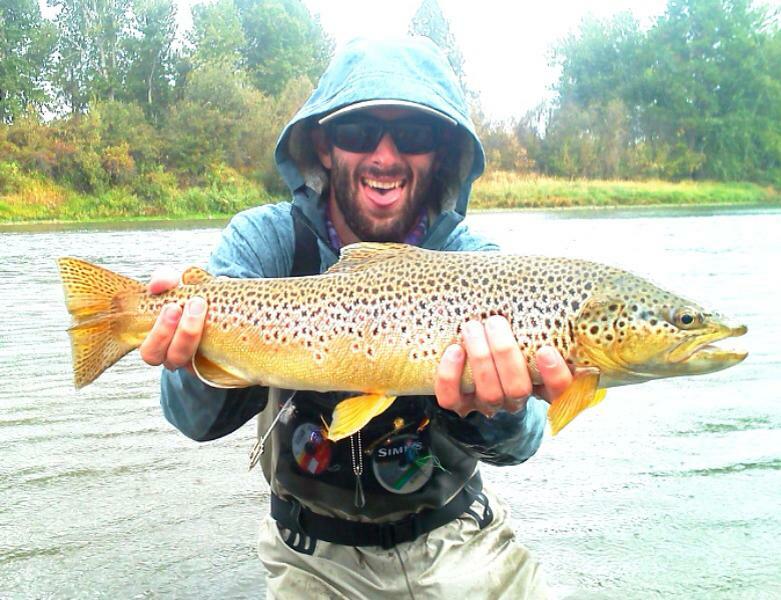 Dan prefers dry fly fishing but will do whatever it takes to catch fish. Day in and day out he works extremely hard to help achieve his clients goals. 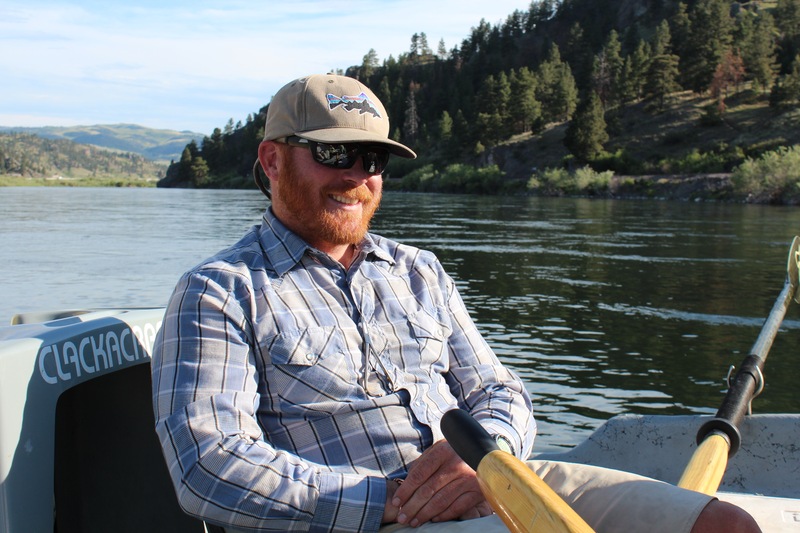 His work ethic, experience level, and his retained midwest values make any day on the water with Dan an enjoyable reel Montana experience. Dell is another guide that has been a friend of mine almost from the outset of my guiding and outfitting career. He is one of my favorite guys with whom to spend time on the river. 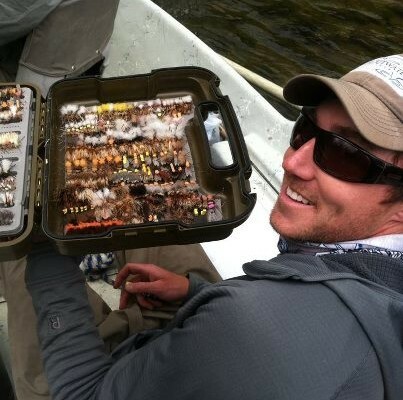 He is a patient and innovative fisherman and a genuinely creative fly-tier……two things I particularly enjoy. If someone brings something new to my bag of tricks, it is likely to be Dell. 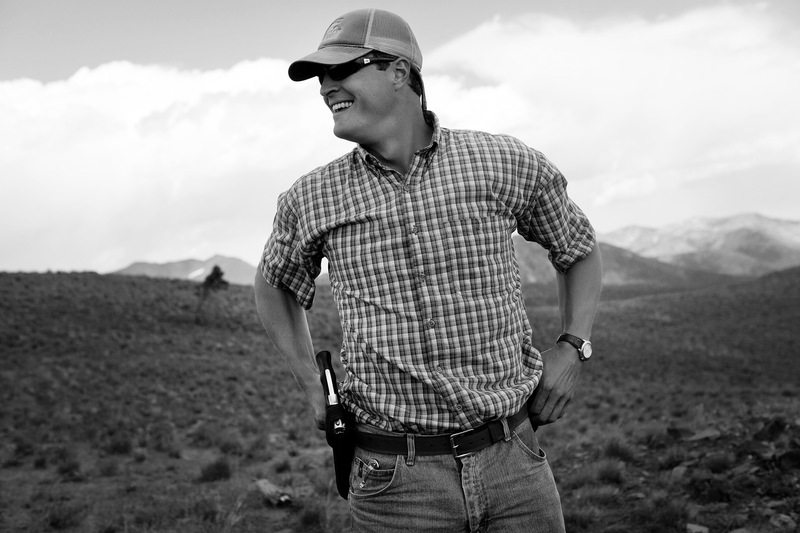 He guides mainly on the Bighorn but also works the Yellowstone, roams the state to some extent and guides lots of hidden gems that he won’t even tell me about. I’m Matt Ernst. I’m 32 years old and was born in Columbus Nebraska. I was fortunate enough to grow up in a family where hunting and fishing were an integral part of family life. A love for the outdoors was instilled in me from the beginning. I attended the University of Nebraska, Lincoln and graduated with a degree in Fisheries and Wildlife Management in 2002. I moved to Montana immediately after graduation in pursuit of hunting and fishing opportunities. 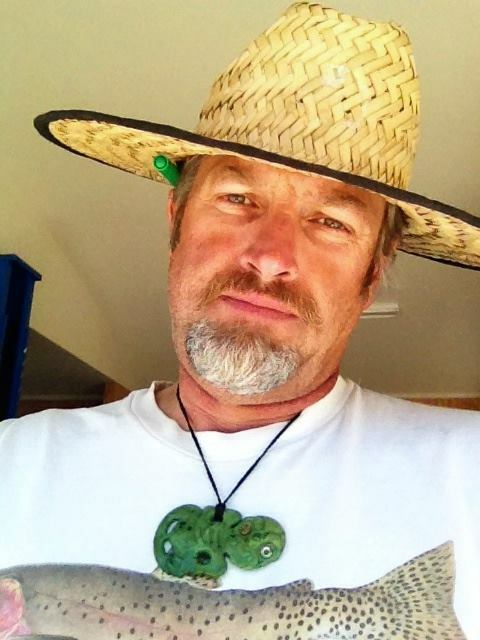 I have been guiding big-game hunters and fisherman for the past seven year. It is my full time, nearly year round career, and my main focus. I live in Red Lodge Montana with my wife Amie and two retrievers Bel and Gus. My turn-on’s include a good streamer bite, dry fly eaters, large buck mule deer, and well-behaved hunting dogs. I would love the opportunity to share my knowledge and passion for hunting and fishing in South-Central/South-west Montana with you. 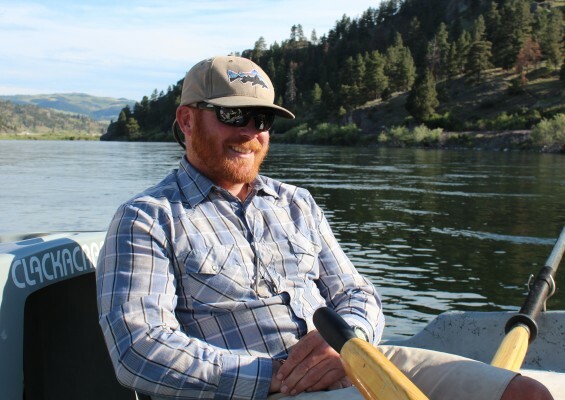 Tom’s note: Matt started working for me as a “gear guy” when he first moved to Montana and I’m proud to say he is now a top guide for me and many other top lodges and outfitters. He spends much of his time on the Bighorn, as well as the Stillwater and lower Yellowstone Rivers…..he moved east, I moved west and I don’t get to see nearly enough of him! After breaking-off my first lunker Bluegill on a Missouri farm pond when I was ten, I have found myself all over the country, with fly rod in hand, trying to fool big fish in beautiful water. When I was 13, I got my first dose of Western fly fishing and have done everything in my power to keep myself in the thick of it. I’m now lucky enough to call both Missoula and Livingston, Montana home. Between breaking-off even more fish, and actually landing a few memorable ones, I ended up with a degree in Aquatic Biology from the University of Montana (which comes in second to Montana State for producing the most fishing guides). In the time I have spent on the water, I have seen more remarkable things and met more amazing folks than I ever thought I would. I have been lucky enough to have Western Montana as my playground for most of my life. Whether it is the Bitterroot, Madison, Missouri, or Yellowstone, I have lasting memories on all of them. My primary goal on a fishing trip is to share with my clients the beautiful chunk of heaven I’m fortunate to call home. I want to catch fish as badly as you do, but more importantly, I want teach you something about fishing you may have not learned else where. I’ve learned something new from eccentric Bahamian bone fishing guides and laid back Costa Rican Sailfish guides alike. I’d like to spread the love. My life changed forever at eight years old when my grandfather and father put a flyrod in my hands. Any grandiose expectations my parents may have had of their son becoming a big shot in the “real” world were over. I tried in vain to make a career working one of those jobs that makes parents proud and wallets swell. In the end my love of big rivers, wide open spaces, and ultimately trout won in a landslide. 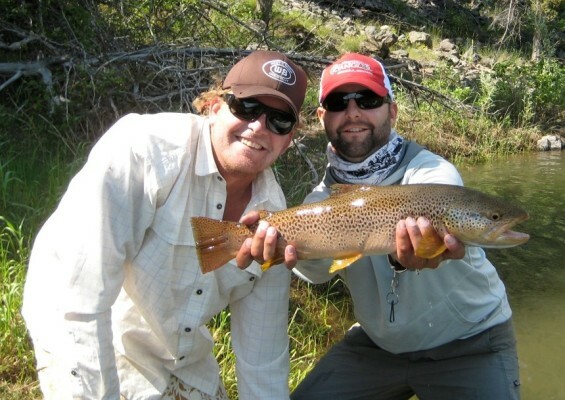 I moved from Maine to Montana in 2000 and have been guiding and outfitting anglers ever since. 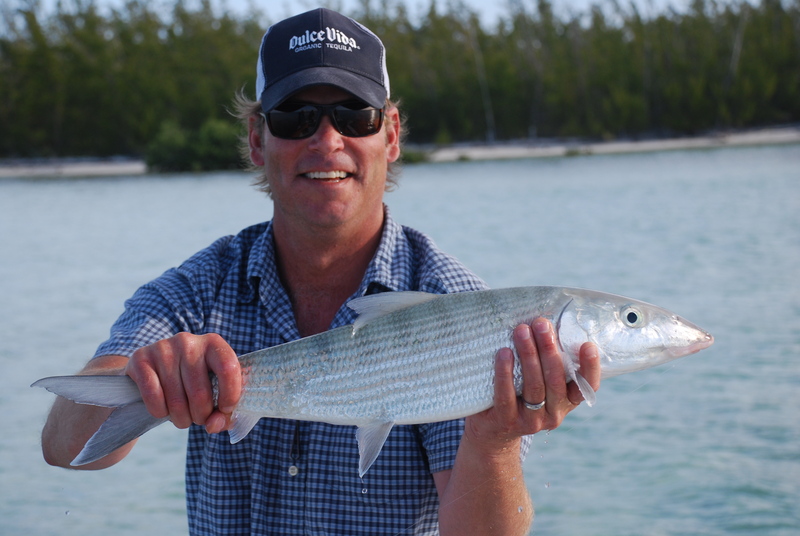 I believe that being a good guide is much more than about being able to catch lots of fish. What separates great guides from good guides is versatility and the ability to understand that different people have different ideas as to what constitutes a successful day. 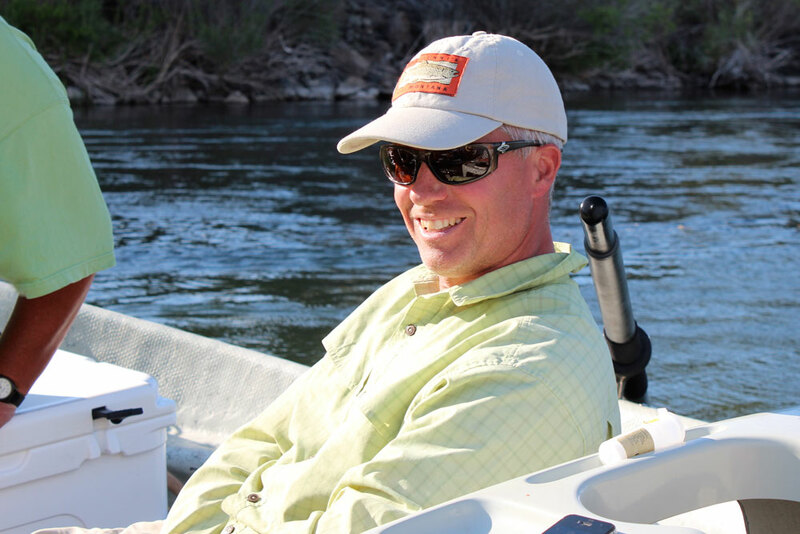 Whether you are a fly fishing novice or a seasoned expert, I look forward to sharing my love of Montana with you.